ATLANTA (AP) — Rapper Lil Baby was arrested in Atlanta after he recklessly passed other cars at high speed in an orange Corvette and tried to flee a state trooper, according to the Georgia State Patrol. 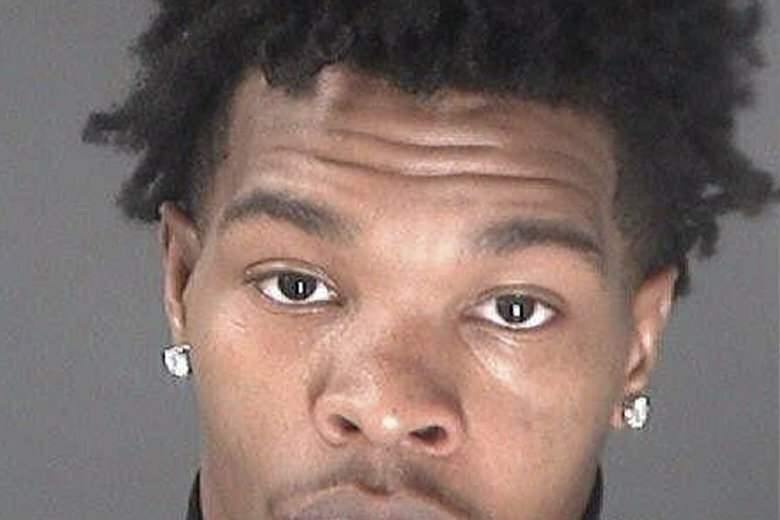 The rapper, whose given name is Dominique Jones, faces charges of failing to signal when changing lanes, reckless driving and attempting to flee or elude police. He was booked into the Atlanta City Detention Center and was released on a signature bond. A representative for Jones didn’t respond Friday to an email seeking comment and it wasn’t immediately clear whether he had an attorney. A trooper saw Jones fail to signal when changing lanes Thursday evening and then saw him recklessly passing other cars in an area with a lot of pedestrians, according to a State Patrol statement. The trooper activated his emergency equipment and chased Jones as he wove between cars at high speed. The statement said that when the trooper caught up, Jones initially tried to flee but became stuck in traffic. The trooper exited his vehicle and ordered Jones to do the same. Jones got out of his car, laid on the ground and was arrested without incident, according to the statement.